It seems a long time since we celebrated 3 points but tonight we forgot last seasons nightmare and put in a much improved performance with pace in the side that Illogan couldnt handle early on. Lyle Johnson returning from his 3 match suspension was pulling the strings in midfield as St Blazey took an early lead after just 5 minutes. 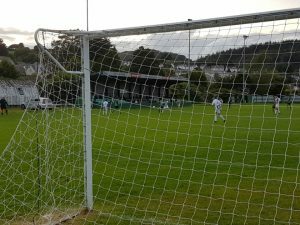 Before the goal a great strike smashed against the bar and then St Blazey won the ball back and worked the ball out wide and Dan Perryman hit a great shot into the top corner giving the keeper no chance. 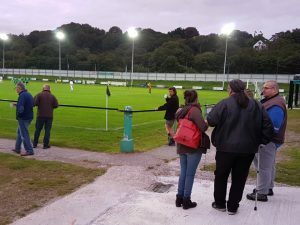 St Blazey then took the game to Illogan who couldn’t cope with St Blazey’s pressing and pace and they doubled their lead through Elliot Rendle after a good passing move. St Blazey should have added a third when clean through on goal the Illogan keeper stood up and saved well when it looked a certain third. Illogan offered little threat in the first half, largely due to some much better defending. Half Time. St Blazey 2vo Illogan RBL. The second half was only 8 minutes old when Illogan pulled one back through David Mitchell. Nerves could have kicked in but within 3 minutes St Blazey had their 2 goal cushion back. A short back pass was pounced upon and Dan Perryman rounded the keeper and finished well from a tight angle. 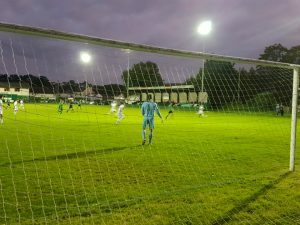 If St Blazey fans thought that would be it, they would be wrong as in the 69th minute a ball down the right wasnt cut out by Yeoman and Jack Adams went through and finished well with a well hit low drive into the bottom left corner giving Wilson in goal no chance. The next 20 minutes seemed to last forever but St Blazey battled well and looked the most likely to score. Their quick passing was creating chances but the 4th goal wouldn’t come. 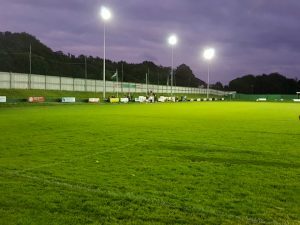 There was always going to be one final chance for an equalizer and in the 90th minute a free kick on the right saw the Illogan keeper go up to try and steel a point but the ball in was met with a towering header and the final whistle from the referee much to the delight of all the St Blazey fans. The players were applauded off the field for their efforts and a much improved performance. 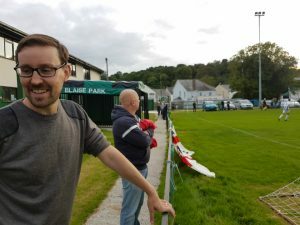 Stuart Morgan the St Blazey manager clearly delighted to see his side collect their first 3 points of the season. Final Score. St Blazey 3v2 Illogan RBL. 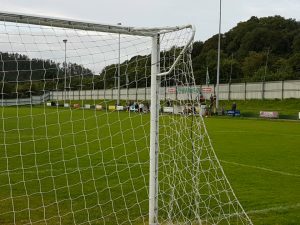 St Blazey now travel to Ludgvan on Saturday 2nd September. St Blazey fans gather behind the goal. 1st half action in front the Eden stand. Half time at Blaise Park. The River bank from the Laundry End.